Passionatemae | Food has a way of bringing people together: How to use Demerara Sugar? Sprinkle some Demerara sugar on top of your goodies before before it goes into the oven. 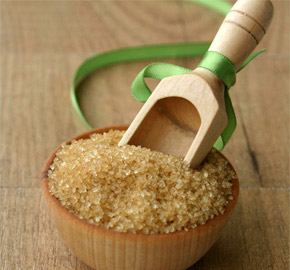 Demerara sugar gives you better flavour too compared to normal sugar. You can buy Demerara sugar from any supermarket. I get mine from CSR! Hey wow I didn't know the use of Demerara sugar is so varsatile. thanks for that.. i only use on creme brulee when i blow torch it.